21st December 2012, on this very special night, a double celebration was held at View Rooftop Bar, GTower: the launch of ABSOLUT ELYX in Malaysia and View Rooftop Bar's first anniversary. 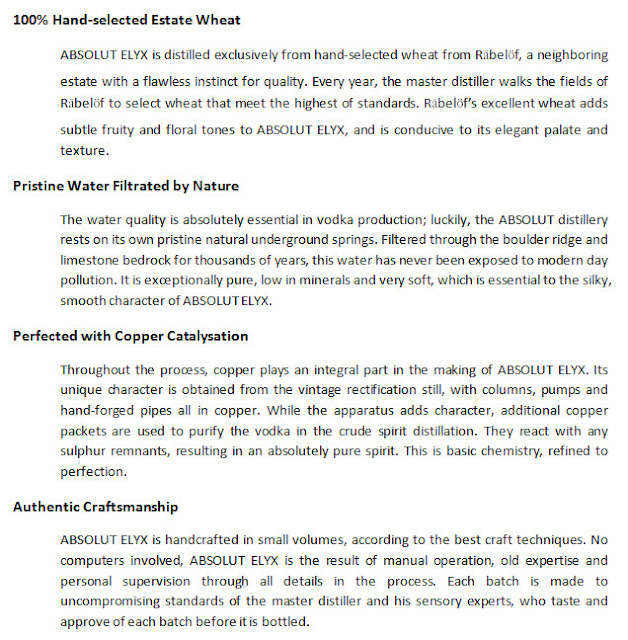 ABSOLUT ELYX is a true expression of quality that is crafted from hand-selected estate wheat, blended with soft and naturally filtered water. 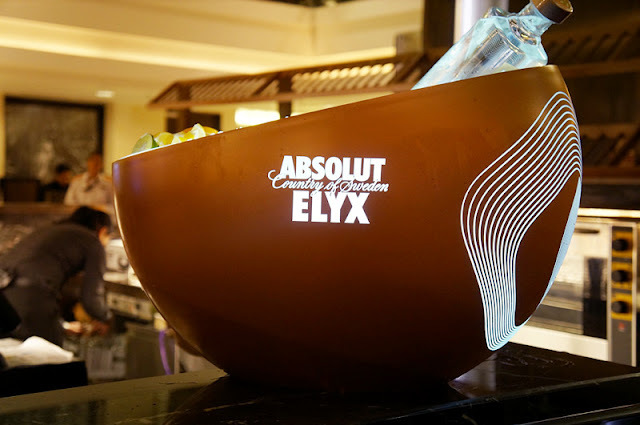 Before heading on to the official launch of Absolut Elyx at the View Rooftop Bar, there was a vodka blind-tasting in the foyer. Speech by Terence Ong, sales and Marketing Director of Pernod Ricard Malaysia. "ABSOLUT ELYX is a product that builds on the essence of Absolut's Swedish heritage in a very contemporary and international fashion. The very best way to enjoy it, is to drink it pure over a single, slowly melting ice cube," said Terence Ong. Some vodka mixer for the night. Forgot the names for these two drinks. I prefer the first one though. And I guess I'm the only lady in the whole party that wore the hat. I definitely looked like some random "reporter" on that night wtf. Managed to capture a few pictures with Choulyin. Lastly, thank you so much to Yuki for the invitation.